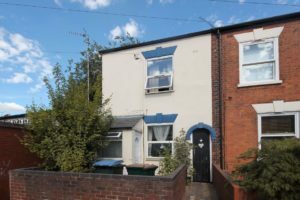 A completely refurbished three bedroom double bayed property in a sought after residential area. Comprising of a large through lounge/diner, brand new quality fitted kitchen with utility area, downstairs cloakroom, two double bedrooms, one single bedroom, newly fitted bathroom with shower over bath. To the front is a block paved drive for several vehicles at the rear there is a good size garden with new turf and garage. Further benefits include central heating with new boiler, neutral decor throughout and brand new flooring throughout.